UPDATED July 2011 -- And suddenly there is a bull market in 2 books on hyper inflation. After directing readers to 2 free online versions of "Dying of Money"in my last post, I am happy to present a link to Adam Ferguson's "When Money Dies" which at the time of writing has an asking price of 565.53€ at Amazon. Thanks to a reprint it can now be had for 14.84€ or a Kindle download for 9.71€ as well as in several other formats. There is still a free option here to read the book online. The book was scarily topical when it was first published in 1975, after the 1973 Arab-Israeli war, when the oil producing nations had got together as a cartel, quadrupled the price of oil and set off double figure inflation in Western economies. Fergusson, an Old Etonian journalist and political activist, seized the moment to present a graphic description of what happened the last time a developed economy was hit by hyperinflation. His subject was Germany's Weimar Republic, that turbulent democratic interlude between the fall of the Kaiser and rise of Adolf Hitler – and particularly the early 1920s, when the German mark became worthless. Excitement has been growing about a long out-of-print book Dying of Money: Lessons of the Great German and American Inflations by Jens Parsson and currently costing $234 at Amazon. The author vividly and thoroughly recounts the influence of inflation throughout history with special emphasis on the U.S. economy and the hyperinflationary events of the 1920s in the Weimar Republic, Germany. Readers of this blog can read the book here! NOTE: I have decided to make this book available under the Fair Use guidelines as there are thousands of readers, but only a few remaining copies from 1974 are available on Amazon at the link above. 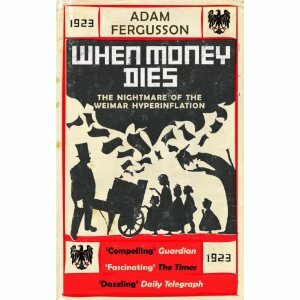 If you want to read another tale on the Weimar hyper inflation, When money dies: The nightmare of the Weimar collapse by Adam Fergusson, you will not have have to shell out $800 at Amazon as in the link above. GATA's Adrian Douglas points to a new cover-up in the world of fractional reserve precious metals trading. Douglas notes that statistics of the London Bullion Market Association (LBMA) have recently moved behind the pay wall. Membership is granted only to producers and financial institutions. Noting that the last available public statistics from June showed stratospheric volume developments Douglas suspects this is another move to keep precious metals markets as opaque as possible. I have recently written a series of exposes of the LBMA (see References 1 - 4 below) using the association's own data to show that the LBMA's bullion banks are operating on a "fractional reserve" basis. 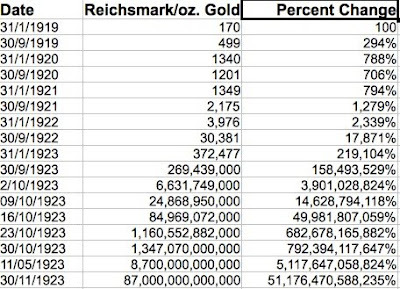 My analysis indicates that the bullion banks are holding only 1 real ounce for about every 45 ounces of gold that they have sold, a reserve ratio of just 2.3 percent. 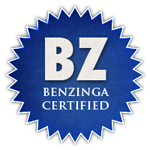 At the March 25 public hearing of the U.S. Commodity Futures Trading Commission on precious metals futures markets I cited the LBMA's own statistics to label the "unallocated gold" accounts of the bullion banks as a Ponzi scheme. (See Reference 3 below.) There were bullion bank representatives at the hearing but no one expressed an objection. That hearing was videotaped and posted at the CFTC's Internet site but the bullion banks have not made any public statement rebutting what I said. In fact at that hearing Jeffrey Christian, CEO of the CPM Group, acknowledged that what is widely called the "physical market" is in reality a largely "paper market" trading gold and silver as if they are financial assets and not physical metals. Christian stated that 100 ounces of paper gold are traded for every 1 ounce of physical gold. When the LBMA first made its trading statistics available in January 1997, observers and analysts were shocked. (See Reference 5 below.) No one could reconcile the statistics with other market data, nor comprehend how the bullion banks could be trading on a net basis more than 240,000 tonnes of gold annually while the global mine output was only 2,400 tonnes. Responsible for the biggest man-made environmental disaster in history, leaving CEO Tony Hayward will get a golden handshake of around £15 million in salary, stock options and a £548,000 annual pension. BP will announce the biggest corporate quarterly loss ever to the tune of £9billion on Tuesday. 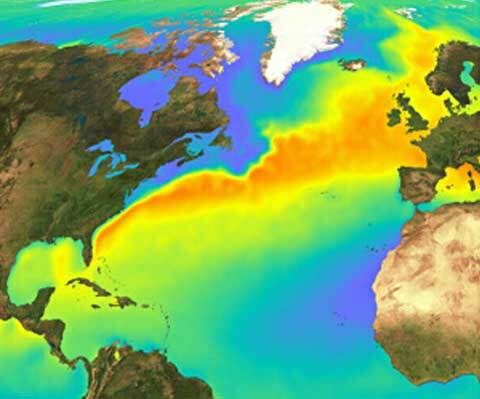 BP Spill Reminder #19 - Day 95 - Is the Gulf Stream Broken? Ships working on the biggest man-made environmental will probably get evacuated as tropical storm "Bonnie" is expected to hit Louisiana by Sunday. It could delay operations for 2 weeks. Maintaining my stance that the long term consequences of the Gulf of Mexico catatstrophy will be much more grave than what is told now this video of the breaking gulf stream supports my wariness that the BP disaster is anywhere from over and will affect the whole Atlantic region. BBC reported accusations from academics, saying that BP wants to invoke a secrecy clause. After the Photoshop issues it still looks that BP is most interested in a cover-up. The head of the American Association of Professors has accused BP of trying to "buy" the best scientists and academics to help its defence against litigation after the Gulf of Mexico oil spill. "This is really one huge corporation trying to buy faculty silence in a comprehensive way," said Cary Nelson. 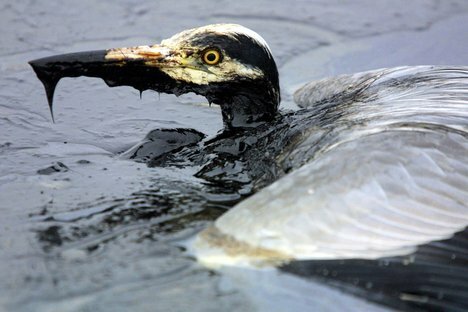 BP Spill Reminder #18 - Day 94 - Simmons: The Biggest Environmental Cover-Up Ever? As my searches on Gulf oil spill news return far less current stories, videos or pictures from the biggest man-made environmental disaster, Ocean Energy Institute founder Matthew Simmons is becoming an after-sought interview partner. Simmons, valued and respected by colleagues in the oil industry, is most alarmist in this Bloomberg TV appearance from July 21. He says BP fabricates the biggest environmental cover-up and suspects there is much more lasting damage the oil giant has not yet made public. As in the last interview posted, Simmons repeats his claim that the Macondo well casing has disintegrated and holds up the theory that BP wants to cover up bigger problems that are not connected to the well publicized Macondo well leak. Oil expert Matt Simmons keeps insisting there is still another leak in the Gulf of Mexico, possibly spilling 120,000 gallons per day, calling BP's inactivity an attack on the planet. 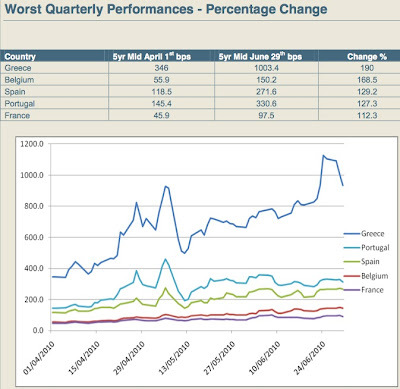 Attention may focus on the EU bank stress tests while another banking disaster unfolds away from the spotlight. MSM have so far ignored last week's revelations that UK net public debt quadrupled to £4 Trillion. Badly needed austerity will now also hit the banks, reports the Telegraph, quoting from a Nomura presentation. As the government will not replace £190 billion in Special Loan Schemes by 2012, banks will need to raise altogether £390 billion or more than £30 billion a month in 2011. This means British banks face higher financing needs than their competitors in the EU. While Spain's commercial banks have scrambled for ECB liquidity as there is a serious drought in interbank-lending in the Eurozone it has to be wondered who will come to the rescue of the UK which does not participate in the €750 billion umbrella to defend the Eurozone. Before I deliver on the headline of this post, watch this video and think again if playing on the beach - let alone swimming - on the US south coast is a good idea for families. BP meanwhile catches black eyes all around for lying to the public as Alex Higgins blog runs an eye-opening timeline of BP's shifting changes in it's PR efforts. Shortly after the Government’s discovery of the methane and oil leaks was leaked to the media Thad Allen sent a sharply worded letter to BP confirming the statements of the anonymous government official. As a continued condition of the test, you are required to provide as a top priority access and coordination for the monitoring systems, which include seismic and sonar surface ships and subsea ROV and acoustic systems. When seeps are detected, you are directed to marshal resources, quickly investigate, and report findings to the government in no more than four hours. I direct you to provide me a written procedure for opening the choke valve as quickly as possible without damaging the well should hydrocarbon seepage near the well head be confirmed." The letter from Thad Allen revealed that the multiple statements BP has given to the media over the last few days claiming that there where no signs oil leaking (pdf) from the sea floor were all outright lies. Attention on the lower as hoped pressure readings in the capped Deepwater Horizon well have pushed BP to move the goal post. Starting out with 9,000 psi as a positive result that the well has no structural damage, BP has moved this "good integrity" number to 6,000 psi in the last 48 hours, reports Washington's blog, citing many more sources and videos. "We also said that if the pressure go above 8,000 pounds and really the number is 7,500 pounds, it would really say to us that we do have integrity under, essentially, any scenario." "But at this point there is no evidence that we have no integrity and that's very good and the fact that the pressure is continuing to rise is giving us more and more confidence that as we go through this process." So, over the last 3 days, BP has walked the "integrity" goalpost down from as high as 9,000 psi to 6,000 psi, or at least the 6,700 psi, which happens to be where they are, give or take 100 psi. You know Adm Allen didn't just make up the 8,000 to 9,000, being a sea captain and knowing little to nothing about oil and gas.Somebody gave him those numbers. 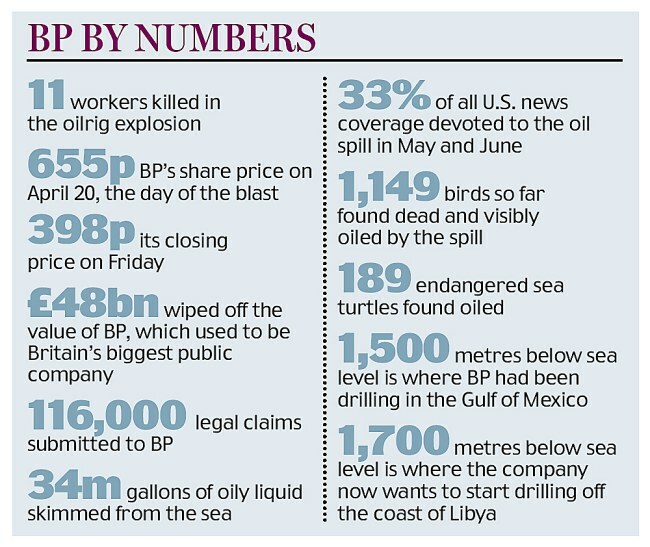 BP moved to goalpost and the timeline, and the press let them get away with it. Again. So the stage is set. It sure looks like to me that BP is refusing to disclose critical data and playing chicken with the government while holding our Gulf of Mexico as hostage. They have every motivation to not produce the well, for all the reasons we've discussed before, most importantly, being able to measure the flow; and the ROV feed of oil roaring back into the Gulf is the gun to the head. The government should compel BP to release all the data from this test. Still holding only minuscule gold reserves in relation to their FX portfolio China only a two weeks ago had stated that gold will not be a major focus of currency reserves. Keep in mind that the government buys practically all domestic production while the country has become the biggest gold producer in the world, digging out 310 metric tons in 2009. This may all be part of a bigger strategy as China stated its gold hoard at 620 tons beforer suddenly announcing a jump to 1,054 tons in 2009. As this comprises only a small fraction of its total FX holdings exceeding $2.5 Trillion they will no be so thoughtless as to give any indication on their further gold plans. Thoughts there are, certainly, when reading this Reuters report, where a senior Chinese analyst names specifically gold as an asset the Eastern empire should divest into. China should cut its holdings of U.S. Treasury securities when market demand is strong, a prominent economist said in remarks published on Monday. The Associated Press has breaking news. According to their report a BP official said there was seepage and possible methane near the capped well, indicating more damage. A federal official says scientists are concerned about a seep and possible methane near BP's busted oil well in the Gulf of Mexico. Both could be signs there are leaks in the well that's been capped off for three days. The official spoke to The Associated Press on condition of anonymity Sunday because an announcement about the next steps had not been made yet. The official is familiar with the spill oversight but would not clarify what is seeping near the well. The official says BP is not complying with the government's demand for more monitoring. Read the full story where fisherman involved in the clean-up say they are being short-changed by BP. 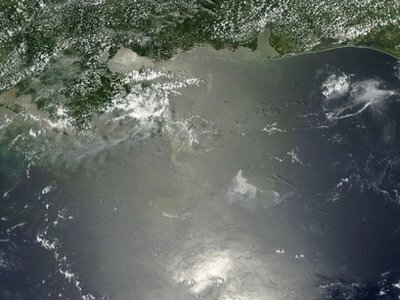 The Gulf of Mexico has turned oily black in this NASA satellite image. MSM (MainStream Media) begin to chime in on the long term effects of the biggest man-made environmental catastrophy on life in the Gulf states too. They lean on the pessimist side. 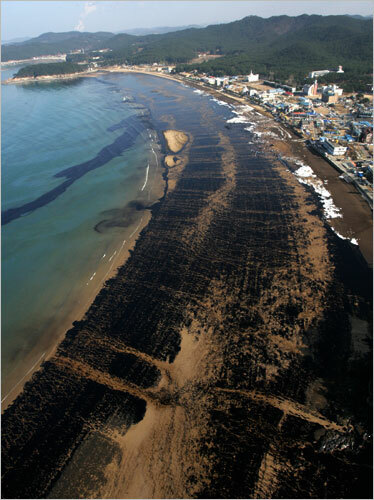 The New York Times headlined "After Oil Spills, Hidden Damage Can Last for Years". The cap on the leaking well may have stopped the oil flow, but it will be too late for the economy in the Gulf of Mexico. Watch this video from a local news station to see the live implications of this biggest man-made environmental disaster in history. For a good up-to-date file on the Gulf oil spill I recommend you surf to Florida Oil Spill Law. In an attempt to alleviate the situation of Gulf residents the Federal Reserve has ordered banks to "work with the customer" and waive several fees. Substantial business disruption and damage to businesses along the Gulf Coast Region have occurred. In response to this disaster, financial institutions can take measures to meet the critical financial needs of their customers and their communities. The Fed said basically that banks would not deviate from sound banking practices when coming up with alternatives for customers. Easing credit terms or fees for loans to certain borrowers, consistent with prudent banking practice. I presume it will look like this. Still shocked from the events of the last 2 days, when British public net debt quadrupled within 48 hours, here comes more evidence that numbers can be a very relative thing in economics. According to a former member of the Bank of England's (BoE) interest rate steering Monetary Policy Committee (MPC), governor Mervyn King pressured economists to draft forecasts along his pre-set opinion. It is time to reveal a dirty little insider's secret. It isn't hard to make time-series forecasting models produce wildly different results. Estimates have a tendency to whizz around all over the place in the face of small changes in assumptions, data used and time period covered. And errors can be huge, especially at turning points, so carefully considered judgment matters. Economic forecasts can be massaged, so independence is vital. During my time on the Bank of England's Monetary Policy Committee, which makes quarterly economic prognoses, Governor Mervyn King controlled the hiring and firing of the forecast team, who did his bidding. They had to produce a result that was consistent with King's views, or else they would be history. A patchwork of arbitrary fixes and prejudices frequently drive forecasts, which for the uninitiated are hard to see. As the world waits to hear whether the cap on BP's biggest oil spill in history will work, Businessinsider has compiled key figures about the economy in the affected Gulf states. A dead tourism and fishing industry will certainly not be able to contribute to the Gulf states $2.2 Trillion economy. Check out the slide show here. If you are interested how BP reacted to earlier oil spills, here is a piece dug out from USA Today August 2006. Environmentalists say BP's record lays bare a company keenly aware of the corrosion problem. In 1999, as a condition for approving BP's merger with Arco, which previously operated part of the Prudhoe Bay field, state officials called for twice-yearly meetings with BP to review the company's corrosion monitoring. It was only yesterday that Britain's societies of accountants and economists disturbed 5 o'clock tea, saying that - according to their calculations - the Empire's public net debts of £2 Trillion were more than double the official figure. The true scale of Britain's national indebtedness was laid bare by the Office for National Statistics (ONS) yesterday: almost £4 trillion, or £4,000bn, about four times higher than previously acknowledged. This video should quell any speculations that the USA may get away with a black eye from the Gulf spill. The biggest man-made environmental disaster will likely lead to the death of many clean-up workers who got exposed to the chemical soup. 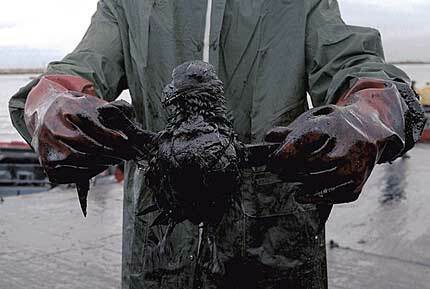 At least this was the fate of all workers involved in the Exxon Valdez clean-up. sorry to interrupt your 5 o'clock tea for a most alarming information. Hoping it will not spoil your taste for that cucumber sandwiches you nevertheless deserve to receive the news that Great Britain's public net debt is not a manageable STG 932 billion but actually more than double, the Telegraph cites a study. A study by the Institute of Chartered Accountants in England and Wales (ICAEW) and the Centre for Economics and Business Research (CEBR) has revealed that there could be a further STG1.13 TRILLION of liabilities above the current estimate that puts public sector net debt at a total of STG 2.062 TRILLION. I hope you did not forget to pour fresh hot water for the lady next to you, just because your mind dreams up new dark tax scenarios when confronted with such figures. Scones with clotted butter may bring back your energy. BP Spill Reminder #9 - Day 85 - Can It Get Any Worse? 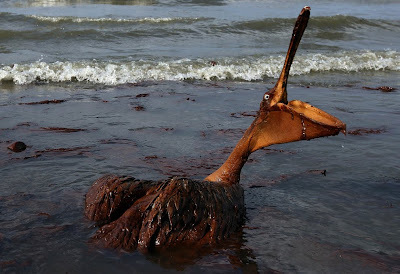 Waiting for news about the success or failure of BP's efforts to put a giant cap on the Gulf leak I want to point readers to Washington's blog who has a series of very graphic pictures shining a light on the true dimensions of the biggest man-made environmental disaster in history. As there is no way to assess the environmental damage and the health problems that may plague the coast and its people for years to come, these pictures serve as a most gruesome reminder that this catastrophy is out of bounds. 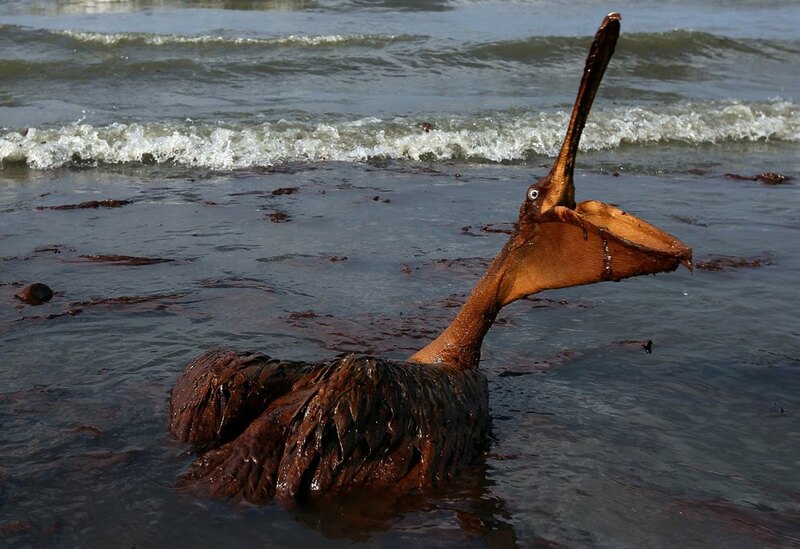 PHOTO: A pelican covered in crude oil. How would you rate its chance of survival? Photo by Win McNamee/Getty Images used because of its historical significance under the Fair Use Act. Click here for more such pictures. Debtors beware! China's only rating agency, Dagong Global Rating Agency, has published its first report on foreign government debt, rating 50 countries that comprise 90% of the global economy. As there has been a perennial discussion about the ratings of Western agencies it can be expected that China will put high emphasis on its own ratings when lending money to other countries. Dagong's report attracts a lot of attention as it has graded the USA only with "AA". Altogether the rating agency arrived at 27 lower valuations and only a handful of "AAA" risks left. Among the 50 countries, the local currency sovereign credit risk for such countries as Norway, Australia, Denmark, Luxembourg, Switzerland, Singapore, New Zealand were assigned "AAA" ratings. China, Canada, the Netherlands, Germany were assigned "AA +". The United States and Saudi Arabia got an "AA" rating. France , the United Kingdom, Korea and Japan got "AA-"s.
The countries that were assigned local currency sovereign credit rating of "A-" level include Belgium, Chile, Spain, South Africa, Malaysia, Estonia, Russia, Poland, Israel, Italy, Portugal and Brazil. Dagong gave China's yuan-denominated debt an "AA-plus" rating with a stable outlook -- higher than Moody's "A1" and S&P's "A-plus" -- due to its rapid growth and relatively low debt. China's foreign currency rating was "AAA" in Dagong's report. As BP spends millions on public relations efforts and keeping the public away from the biggest man-made environmental disaster I see no need to further their efforts with additional reporting on their actions to plug the leak which currently spills 5 million gallons per day that may work - or not. Helium.com has this mind-boggling report that draws a doomsday scenario once the Methane inder the seafloor will explode. Ominous reports are leaking past the BP Gulf salvage operation news blackout that the disaster unfolding in the Gulf of Mexico may be about to reach biblical proportions. 251 million years ago a mammoth undersea methane bubble caused massive explosions, poisoned the atmosphere and destroyed more than 96 percent of all life on Earth. Experts agree that what is known as the Permian extinction event was the greatest mass extinction event in the history of the world. 55 million years later another methane bubble ruptured causing more mass extinctions during the Late Paleocene Thermal Maximum (LPTM). The LPTM lasted 100,000 years. Those subterranean seas of methane virtually reshaped the planet when they explosively blew from deep beneath the waters of what is today called the Gulf of Mexico. Now, worried scientists are increasingly concerned the same series of catastrophic events that led to worldwide death back then may be happening again-and no known technology can stop it. The bottom line: BP’s Deepwater Horizon drilling operation may have triggered an irreversible, cascading geological Apocalypse that will culminate with the first mass extinction of life on Earth in many millions of years. The oil giant drilled down miles into a geologically unstable region and may have set the stage for the eventual premature release of a methane mega-bubble. Gregory Ryskin, a bio-chemical engineer, has a theory: The oceans periodically produce massive eruptions of explosive methane gas. He has documented the scientific evidence that such an event was directly responsible for the mass extinctions that occurred 55 million years ago. Many geologists concur: "The consequences of a methane-driven oceanic eruption for marine and terrestrial life are likely to be catastrophic. Figuratively speaking, the erupting region "boils over," ejecting a large amount of methane and other gases (e.g., CO2, H2S) into the atmosphere, and flooding large areas of land. Whereas pure methane is lighter than air, methane loaded with water droplets is much heavier, and thus spreads over the land, mixing with air in the process (and losing water as rain). The air-methane mixture is explosive at methane concentrations between 5% and 15%; as such mixtures form in different locations near the ground and are ignited by lightning, explosions and conflagrations destroy most of the terrestrial life, and also produce great amounts of smoke and of carbon dioxide..."
Covered in this video: BP's secret 3rd Gulf leak and more on highly toxic Corexit (more in next BP Spill Reminder post) which only helps to keep the oil underwater, hiding the size of this biggest man-made environmental disaster in history. This catastrophy should have priority above everything else. One for the weekend. 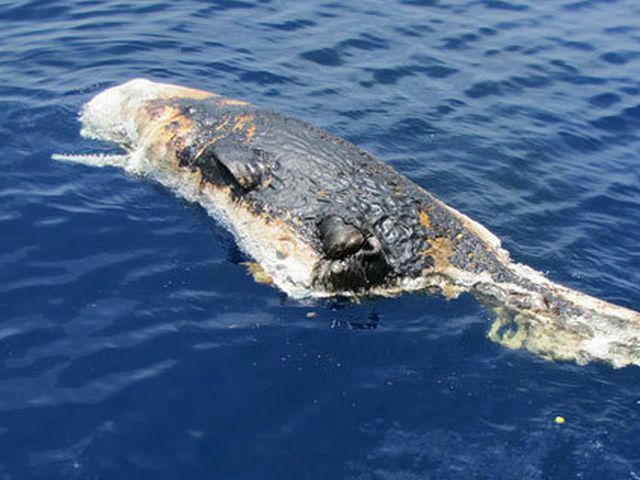 A collection of horrifying images from BP's oil spill in the Gulf of Mexico. The picture blackout by BP with the support of US authorities on the world's biggest man-made disaster is obvious. 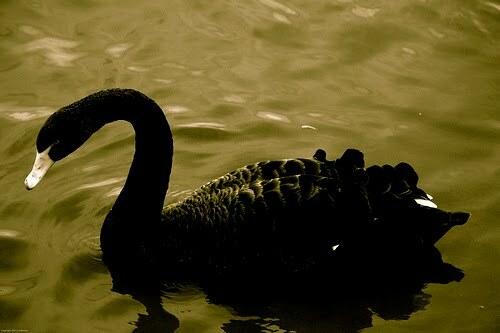 Go ogle for oil spill images und you will note that pictures become more and more scarce with every day. Hardly any new pictures since the beginning of the month. PHOTO: Gulf beaches 2010. Reuters made a notable exception today with a slideshow you find here. The accompanying story tells us BP sees no early fix before August. 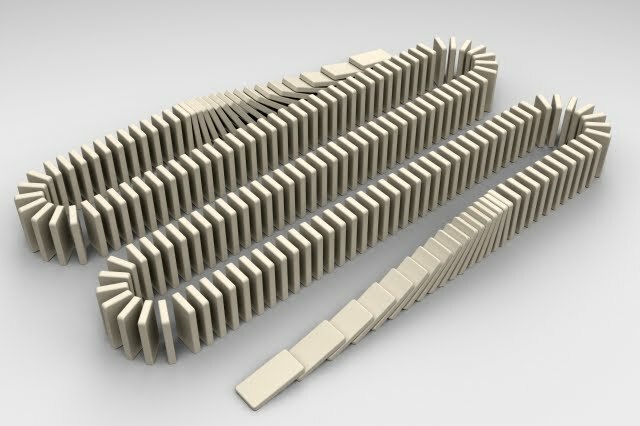 Check out the spill counter. Photo courtesy Reuters. Job markets appear to be bifurcated. According to this Antal Global Snapshot of hiring all surveyed countries and industries plan to add professionals to their payroll in the running quarter. Otherwise employment is on a global downslide. After weeks of intra-Eurozone haggling the Committee of European Banking Supervisors (CEBS) has finally published the list of 91 banks currently undergoing stress tests whose results are eagerly awaited for July 23. 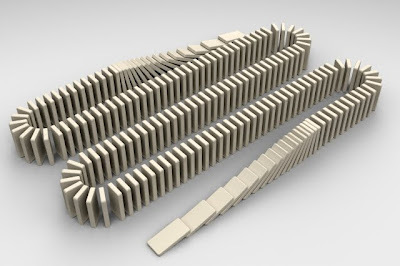 The 91 banks (list below) represent 65% of Europe's banking business, in itself an indication that domino theories, where one failure will lead to others, may develop into a harsh reality, keeping Europe's extensive cross-border business in mind. On aggregate, the adverse scenario assumes a 3 percentage point deviation of GDP for the EU compared to the European Commission’s (EC) forecasts over the two- year time horizon. The sovereign risk shock in the EU represents a deterioration of market conditions as compared to the situation observed in early May 2010. In comparison with the same quarter of the previous year, seasonally adjusted GDP rose in the first quarter of 2010 by 0.6% in the euro area and by 0.5% in the EU27, after -2.1% and -2.3% respectively in the previous quarter. So we conclude that the adverse scenarios will nevertheless not reserve for more than a 2% economic contraction, a still very optimistic assumption given the underperformance of Europe in the first half of 2010. How many millions of birds will not get help in the biggest man-made disaster in history? 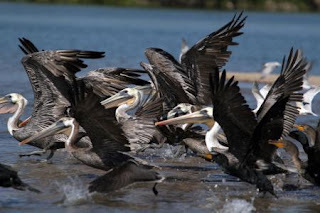 While there are still not any news about the state of deep-water marine life apart from the fact that many species move into shallow water doubts remain about the effectiveness of BP's efforts to drill relief wells. Check this detailed report here. The Green Chips Stock blog alerts us on a new dangerous twist. 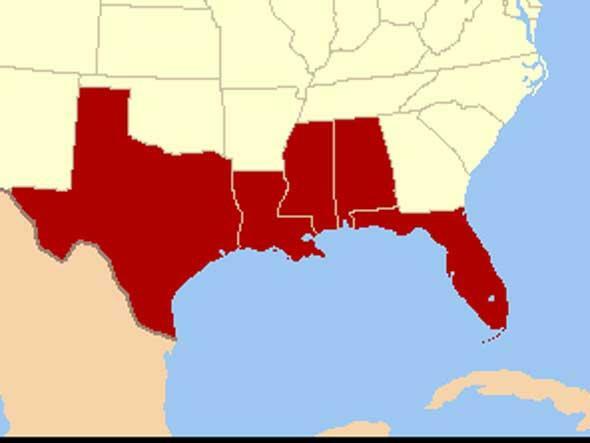 There are 27,000 oil wells in the Gulf of Mexico whose state has never been checked. The path of toxic crude has found its way to Texas. 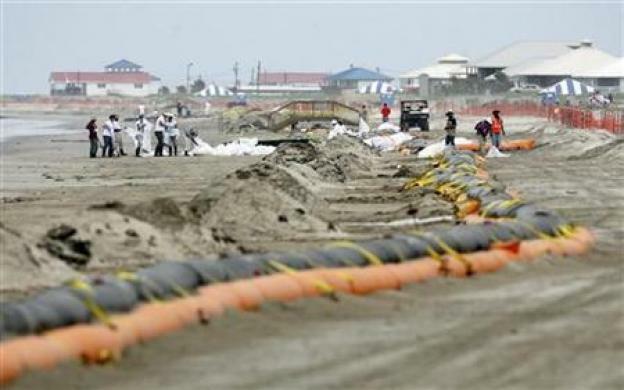 Now all five gulf states are hit by the biggest man-made environmental disaster. MSM are quick to report that damage has been limited to a bucketful of tar balls so far. Alternative media remind us that Texas Governor Perry appears to be deep into BP's pockets, initially claiming that the biggest oil spill was not BP's fault. This disaster should have priority above everything else. Was Your Grandpa so Unlucky to Sell Gold at only 270 Million/oz? Will the time come again where we will cry for selling a troy ounce of gold for "only" 85 billion currency units? Such things happened in the Weimar Republic in the 1920s when six weeks later the same ounce fetched 87 TRILLION Reichsmarks or more than 1,000 times of that at the climax of Germany's hyper inflation. The table below shows the skyrocketing price of gold from 1919 to 1923. TABLE: As American Federal Reserve Notes (FRN) were still backed by gold at that time, the gold price moved in tandem with the exchange rate. 1 FRN would cost 48 Reichsmarks in 1919, but 4.2 trillion in 1923. PBS has improved its Gulf spill tracker, adding live video feeds from the biggest man-made disaster in history. Move the slider for different gushing rates. CMA, a company monitoring Credit Default Swap (CDS) prices, has issued its latest quarterly report on government risk defaults. While Norway and Finland came out best again, the USA jumped to #3 from #10. All 3 are considered happy debtors by investors, who pay between 26 and 40 basis points (bp) for derivative default insurance with a 5-year maturity. It is an entirely different affair at the other end of the list, where political uncertainty and inaction have added to the indebted countries' financial calamities. Venezuela's top position as worst government risk where insurance premiums range from 1,300 bp to 2,700 bp remains also unchanged. Attention correctly focused on the Eurozone and CEE countries which saw their position deteriorating most, the table below shows. 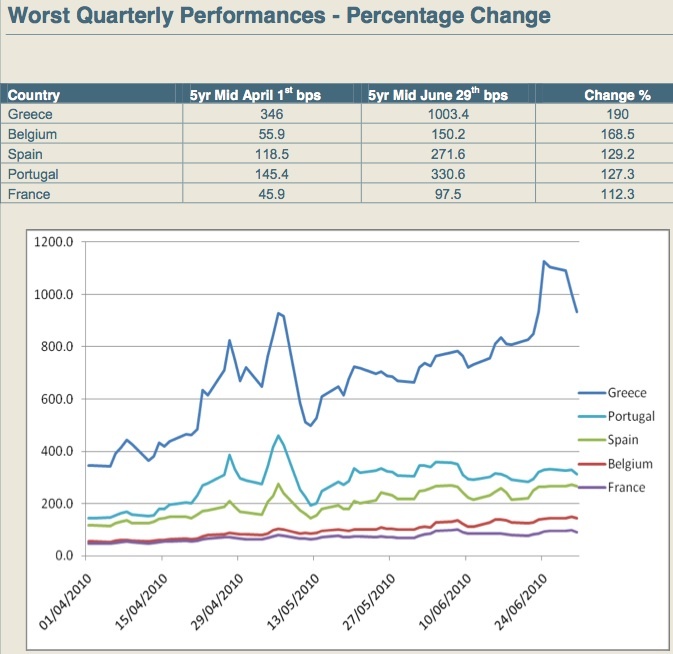 TABLE: Panicking investors drove Eurozone members debt insurance costs the highest in Q2 2010. Click to enlarge. Find a complete list of global government - it is not sovereign - debt default risk after the jump. A dead whale is an example of the suffering of sea animals from BP's gulf spill. Low oxygen content in the sea drives deep-water fish closer to the shore. Dead zones with little to no oxygen endanger all marinelife. "At least 18 provinces, including big cities like Beijing and Shenzhen, have increased the minimum wage by an average of 20 percent from Thursday as officials hint cheap labor may no longer be considered China’s sole competitive edge."